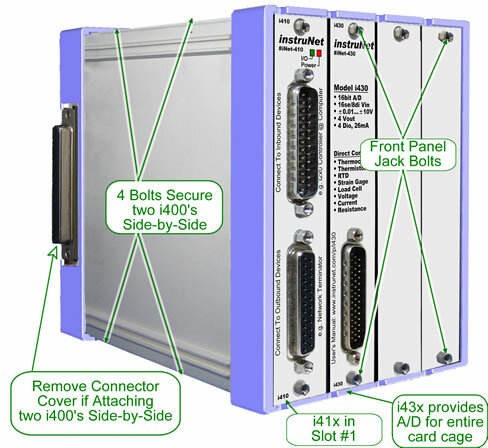 The i41x Computer Interface card is in slot #1, which is the left-most slot. At least one i43x a/d card is present if at least one i42x voltage measurement cards is installed (i43x internally measures voltage from i42x). Other then slot #1, any card can be placed into any slot. Make sure i4xx Card Cage power is OFF, and make sure external equipment power is OFF. If working with i500 analog filter daughterboards, install them onto your i423 card(s) before installing the i423 into the card cage, as noted here. For a summary of anti-aliasing filters and why you might need them, click here. 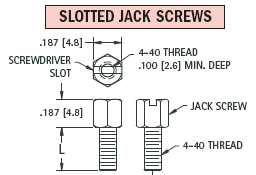 With a slotted screw driver, unbolt 2 jackscrews at blank front panel, and save them for later use. Slide i4xx Card into i400 based card cage and make sure backplane connector mates nicely with card connector. Secure card to card cage with 2 saved jackscrews, as shown in the illustration to the right. 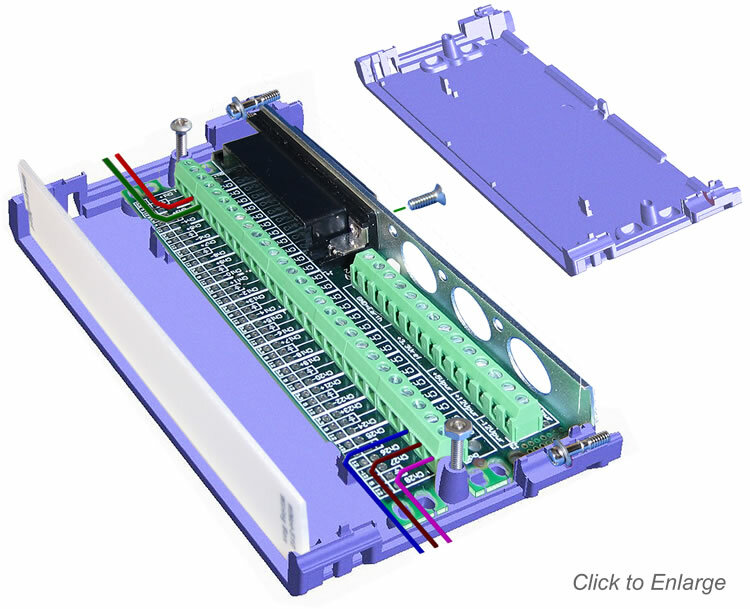 For information on how to assemble and install the i51x Wiring Box, click here. Remove jacknuts at top and bottom of i4xx card, and save for later use. Pry card out of card cage with screw driver, either from top or bottom, as shown in photo to the right. After unsticking backplane connector, one can easily slide card with fingers. The i400 product provides 4 slots, and multiple i400's can be bolted together, side-by-side, to create an 8, 12, or 16 slots system. 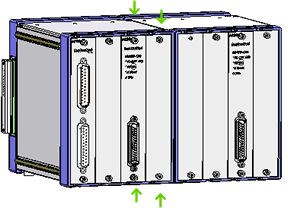 In many applications, one i400 with 4 slots is sufficient. On the left side i400, remove the right-side Hd62 connector cover and on the right side i400, remove the left-side Hd62 connector cover. 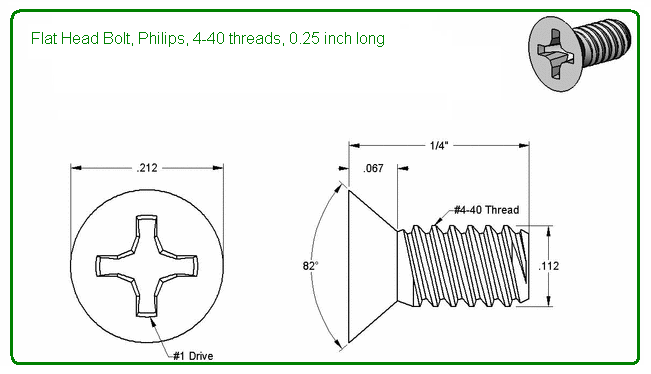 Each cover is held in place with two 4-40 Pan Head Bolts, as noted in the above illustration. Please save this hardware, in case you want to revert back to separate i400's. Press the i400's together and make sure the two Hd62 connectors fit snuggly by pushing the 2 units together with moderate force. 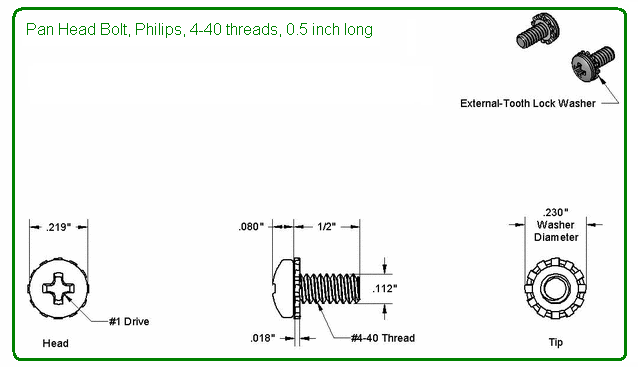 Secure the assembly with four 4-40 Flat Head Bolts, as shown in the illustration to the right. Notice there are 2 bolts on the top and 2 on the bottom. Each i400 ships with extra hardware that includes these bolts in a zip lock bag. 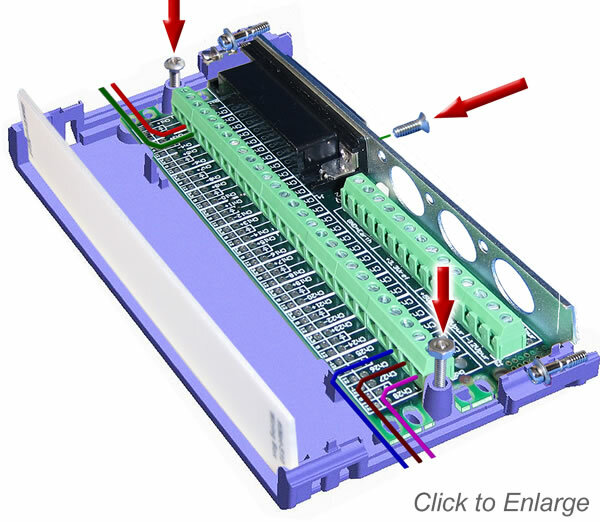 If you want to attach the i4xx Card Cage to a DIN rail, a flat wall, or a 19" rack, click here. Open/Close i51x Wiring Box via 3 bolts, shown to the right with red arrows. Route wires out bottom, top or front. Optionally provide strain relief with nylon tie. Attach wires to screw terminals, or solder to pads near terminals. Attach i51x Wiring Box to i4xx Card via 2 screws, shown to the right with green arrows. 1. Run the "instruNet World" application program (i.e. file "instruNet World Win32.exe), in the instruNet directory. A window will open, similar to what is pictured to the right. If necessary, you might need to click on the Network tab at the bottom of the window to select the Network page. If this window opens, then you know your instruNet driver file is installed and working correctly. 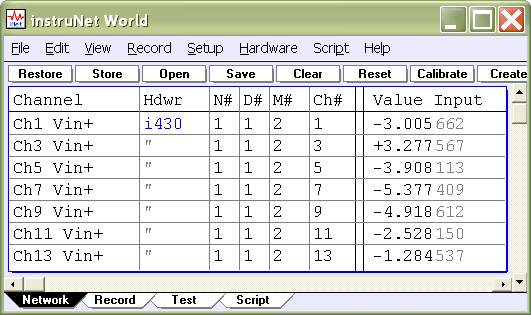 The list of channels shown in the window's table will vary, depending on what instruNet hardware is connected. If an error alert appears, please click here. 2. 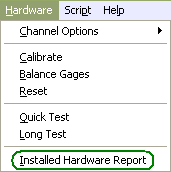 Select "Installed Hardware Report" under the Hardware menu, as illustrated to the right. A report will print that lists the controllers and network devices that are currently installed on your computer. For example; the report below shows one i2x0 Controller; and one i4xx Card Cage that contains i410, i420, and i430 cards. If this does not match what you believe is installed on your network, then check your hardware installation (cables, power, etc). Also, it is possible that the instruNet Driver is older than the devices on your network, which means you need the latest driver that recognizes these new devices. The instruNet Driver is always listed as the 2nd installed item. If a physically connected i2x0/i60x controller is not seen, click here. If a physically connected i4xx Card or i4xx Card Cage is not seen, click here. 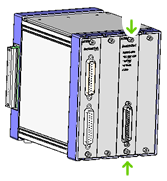 If a physically connected i100 box is not seen, click here. We ran 0.510029 million tests and did NOT hit 1 error. 4. Press the Big Test button to run an exhaustive test. 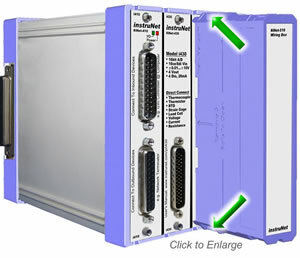 An alert similar to the one below will appear to communicate that the computer will test all instruNet hardware until there is an error, or until you press the mouse button down to stop the test. We ran 2.1 million tests and did NOT hit 1 error. Big Test is identical to Test, except it runs for a longer period of time and is useful at finding intermittent problems that only occur once every minute, hour, or day. Big Test can be run overnight for extensive testing of all hardware. 5. You are done! 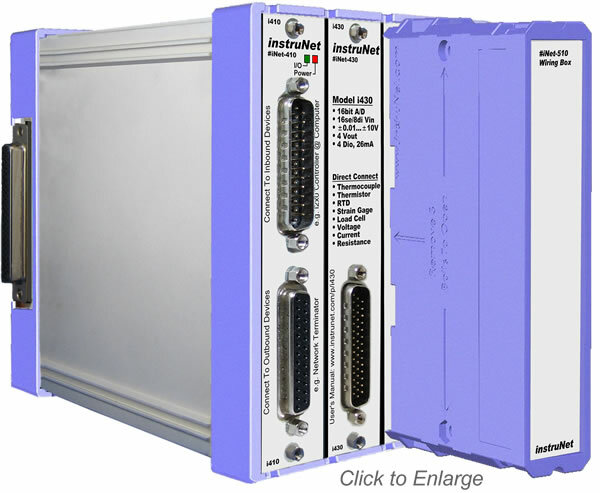 Your instruNet hardware and software is installed correctly and running beautifully. Please proceed to the Tutorial to learn more. For information on how to purchase iW+, click please click here. To install an iW+ license on your computer and enable its powerful features on Windows Xp/Vs/7/8/10 computers, please click here.